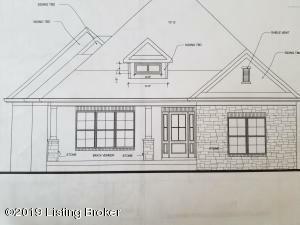 You will love this charming, brand new open floor plan ranch located in the Hamilton Springs subdivision in eastern Jefferson County. This free standing, 3 bed, 2 bath, 1923 sq.ft garden home is complete with beautiful hardwood flooring in kitchen, dining area and great room. Kitchen equipped with beautiful granite counters and stainless steel appliances. Master bedroom with large walk-in closet. Master bath complete with ceramic tile and double vanity, and more. Great room is cozy with fireplace. Two-car attached garage. Maintenance-free living. HOA fee includes grounds keeping, garbage removal, and more.